The Ohio Department of Aging serves and advocates for the needs of Ohioans age 60 and older, as well as their families, caregivers and communities. Programs include home and community based long-term supports and services, as well as initiatives to promote health and wellness throughout the lifespan. Visit www.aging.ohio.gov. 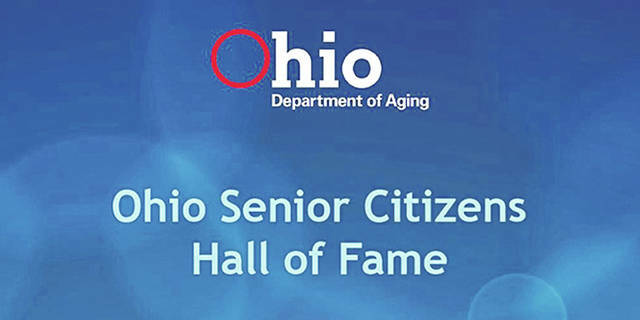 Columbus, Ohio – The deadline to nominate outstanding older adults for the Ohio Senior Citizens Hall of Fame is Monday, Feb. 11. The hall honors current or long-time Ohio residents age 60 and older who have made and continue to make a lasting impact on their communities, their professions or their vocations. Visit www.aging.ohio.gov/halloffame to nominate online or download the nomination form. Since its inception, more than 450 older Ohioans have been inducted into the Ohio Senior Citizens Hall of Fame. Inductees have included business and industry leaders, advocates, community planners, educators, scientists, health care professionals, volunteers, artists, entertainers, athletes and more. Nominees must be native-born Ohioans or have been residents of the state for at least 10 years. Posthumous nominations are accepted. Department of Aging staff evaluate nominees on the scope and impact of their contributions or accomplishments begun or continued after age 60. Induction is held each May as the state and nation celebrate Older Americans Month. Nominations must be received online or postmarked by midnight, Feb. 11. You can request a paper nomination form by calling 614-728-0253.